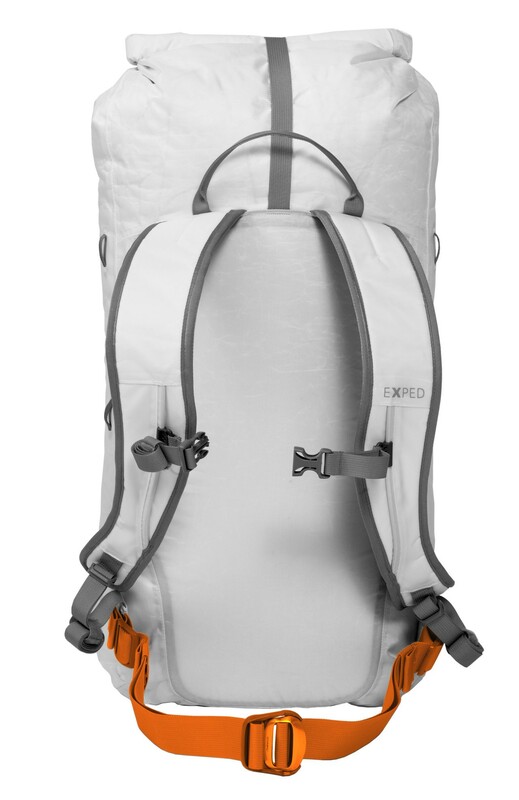 Exped Whiteout 45: Extremely tough, light alpine pack in Dyneema fabric. 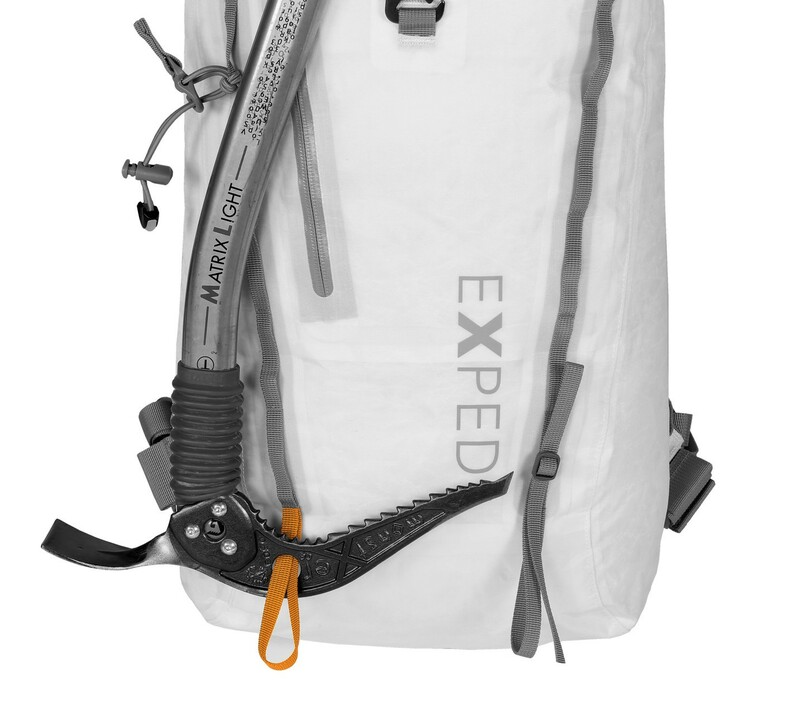 Extremely tough, light alpine pack in Dyneema fabric. 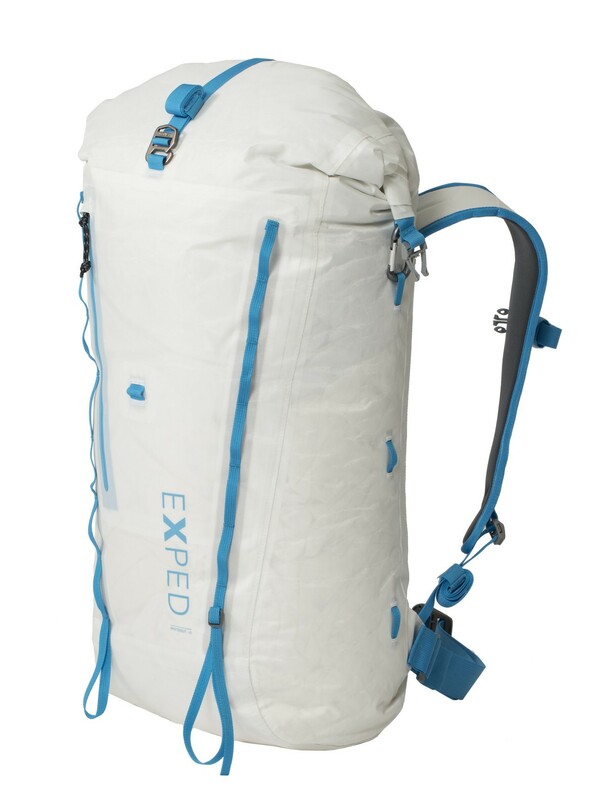 The waterproof WhiteOut alpine packs feature a roll-top closure and are crafted of unrivaled Dyneema composit fabric. 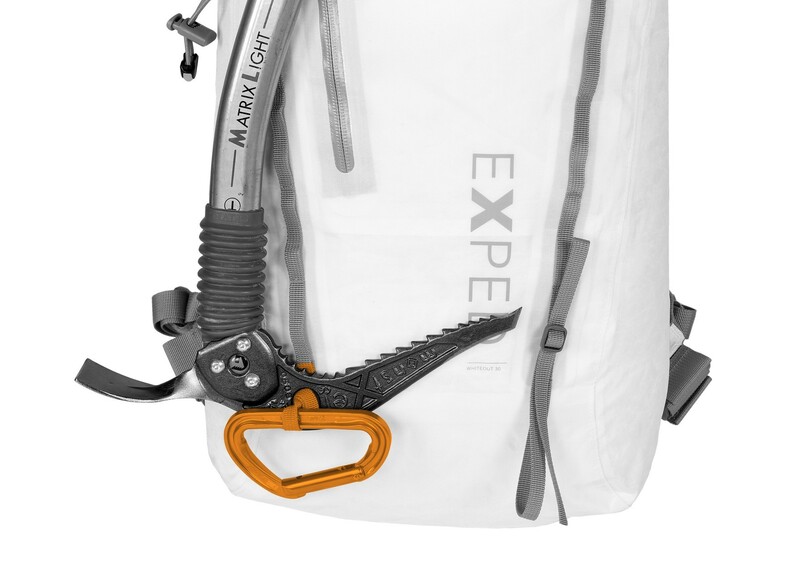 These refined gear haulers for serious mountaineering and expedition use are the pinnacle of Exped's alpine pack's range minimalist design and uncompromising fabric choice. Waterproof Dyneema composite fabric is laminated with TPU film. 2 front daisy chains with ice axe loops (one is lenght adjustable). Comfortably padded shoulder harness with sternum strap. Superb direct load transfer thanks to body hugging, lightly padded back system.